WE MAY HAVE HIT THE BOTTOM of the milk-price trough, suggested the University of Wisconsin's Mark Stephenson and Bob Cropp. There has been a strong rebound in projected milk prices in futures markets. Even so, the near-term price recovery may not be explosive. CLASS III FUTURES CLIMBED BY $1.60 during a three-week trading window in June. July to December Class III contracts averaged $16 with a low of $14.91 for July and a high of $16.40 for September. 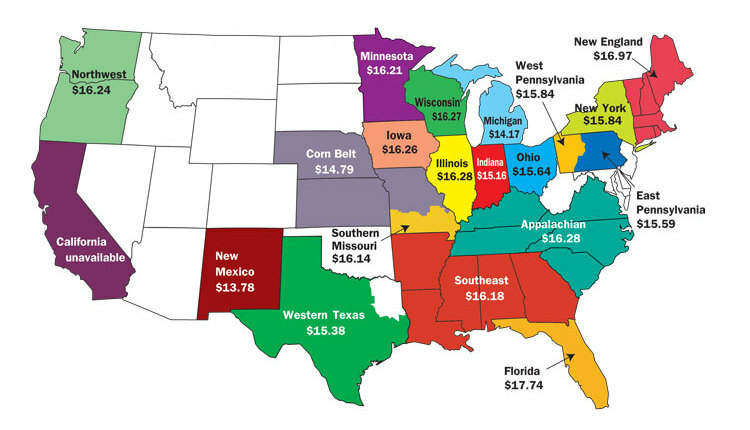 USDA CONCURRED BY RAISING 2016's All-Milk price by 30 cents to a $15.15 midpoint. 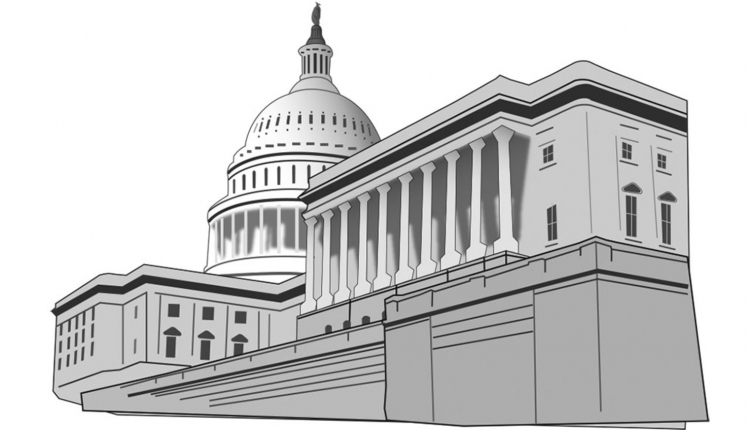 This represented the year's first upward movement. For the upcoming year of 2017, USDA continued to project a $15.75 midpoint. DESPITE STRONG SUPPLIES, spot butter prices climbed nearly 30 cents during June. If the trend holds, that could further support milk checks. 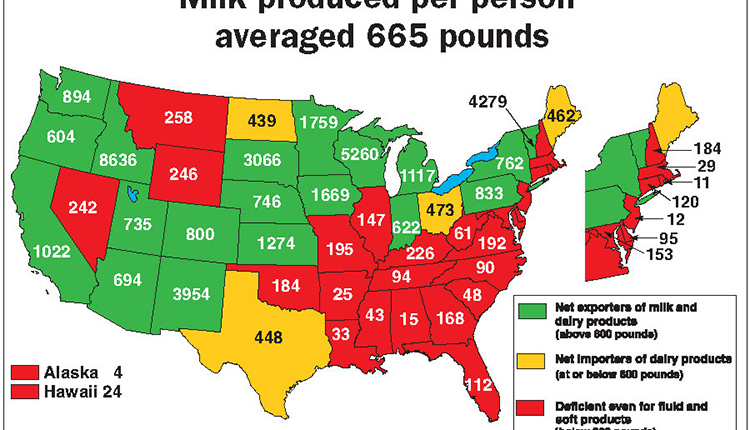 REPETITIVE STORY ON MILK PRODUCTION: a lot of milk in the Midwest and Northeast, not as much in the West. South Dakota's May milk climbed 9.5 percent; Michigan, 6.9; New York, 4.9; Wisconsin, 4.2. California dropped 2.8 percent; New Mexico, -3.8; Utah, -4.6. WORLDWIDE, MILK PRODUCTION HAS BEEN SLOWING. This includes major milk exporters in New Zealand, Europe, and Australia. As this reduced milk flow takes place, that should reverse prices, too. THE U.S. 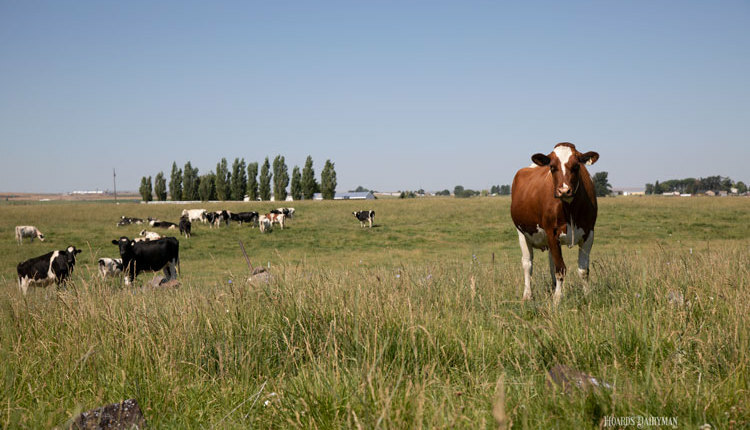 DAIRY HERD HAS BEEN STABLE at 9,327,000 head from March to May, according to USDA statistics. Even so, that total dairy cow population still marked the largest dairy herd since December 2008. CULLING REMAINED LOW as 1.3 million dairy cows went to packing plants through early June, down 21,000 head from last year. COULD SOYBEANS BE THE NEXT BUBBLE? The Wall Street Journal vetted out that question, noting that soybean-meal futures activity at China's Dalian Commodity Exchange tripled from last May. As that skyrocketing interest took place, prices climbed 40 percent since early January. McDONALD'S SIX-MONTH BUTTER RAMP-UP required tremendous coordination to supply its 14,000 U.S. stores, reported Bloomberg. For buttermaker Grasslands Dairy Products in Greenwood, Wis., the family business went to seven-days-a-week production at three of its facilities. 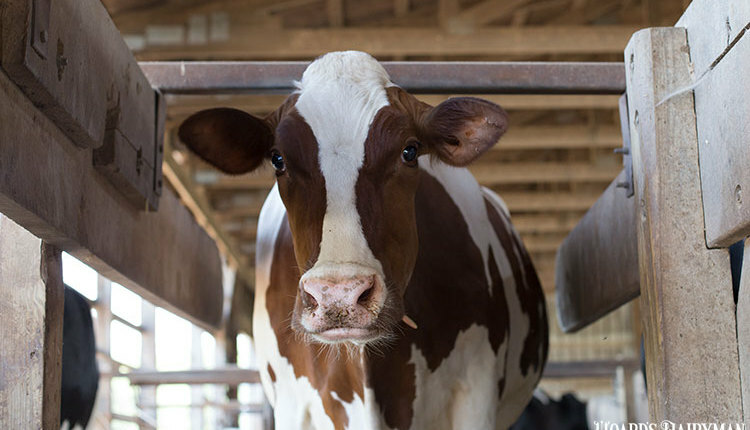 A $50 MILLION PAYOUT AND SETTLEMENT was approved by a federal judge in the Northeast dairy farmer lawsuit against Dairy Farmers of America (DFA) and Dairy Marketing Services (DMS). DFA WILL PAY AN AVERAGE OF $4,000 to more than 8,800 farms to settle the 2009 class action lawsuit. The cooperative admitted no wrongdoing. In 2011, Dean Foods agreed to settle a related matter for $30 million.